12982 Simsbury Ter Fort Myers, FL. 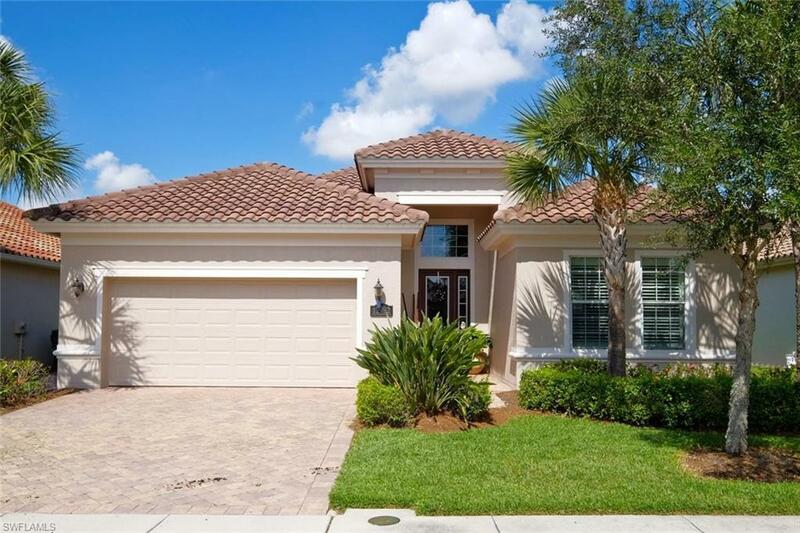 | MLS# 218071229 | Southwest Florida Residential Real Estate for Sale. Beautifully maintained home has everything you could want with 3 bedrooms, 2 baths, 2 car garage with storage, extended screened brick paver lanai which offers a very serene setting to take in the Florida breezes and watch the sunsets, all this situated on a very lovely lake view lot. Home features IMPACT GLASS WINDOWS (great upgrade), plantation shutters throughout, upgraded tile, crown molding, pendant lighting, new paint, trey ceilings, breakfast nook and breakfast bar, granite tops throughout, high ceilings, laundry tub, NEW water heater, new disposal, extra storage in the garage. Home is only a TWO MINUTE WALK to many great amenities including resort style pool and spa, Har-Tru tennis courts, fitness center, clubhouse. Full Golf Membership, Associate Membership or Social Membership purchase is optional. Location is ideal being close to I-75, the airport, restaurants and shops, and the Twins and Red Sox ball parks.